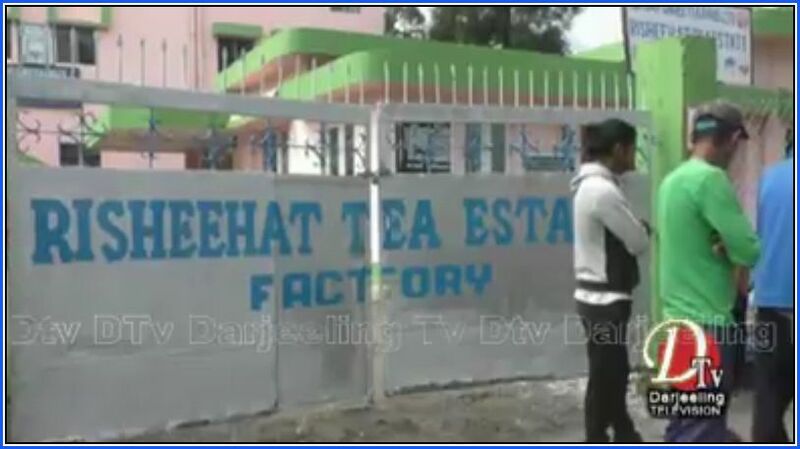 Darjeeling: The management of Risheehat Tea Estate near Darjeeling town has declared a suspension of work. The suspension of work came on the heels of Himalayan Plantation Labour Union (HPWU - affiliated to the GNLF) stopping the plucking of first flush tea leaves. The HPWU had stopped the plucking of leaves demanding that their arrears be immediately paid. In January 2018, the daily wages of tea garden workers had been increased by Rs 17.50. In the majority of the tea gardens in the Hills, the increment took effect from March 2018. Though a year has passed, the arrears have not been paid in around 60% of the tea gardens in the Hills, claims the union. The management of Risheehat Tea Estate near Darjeeling town has declared a suspension of work. The suspension of work came on the heels of Himalayan Plantation Labour Union (HPWU - affiliated to the GNLF) stopping the plucking of first flush tea leaves.